Hooray! Thank you, this is incredibly helpful! hi, i followed this link from sewmamasew, i have to say this is genius! 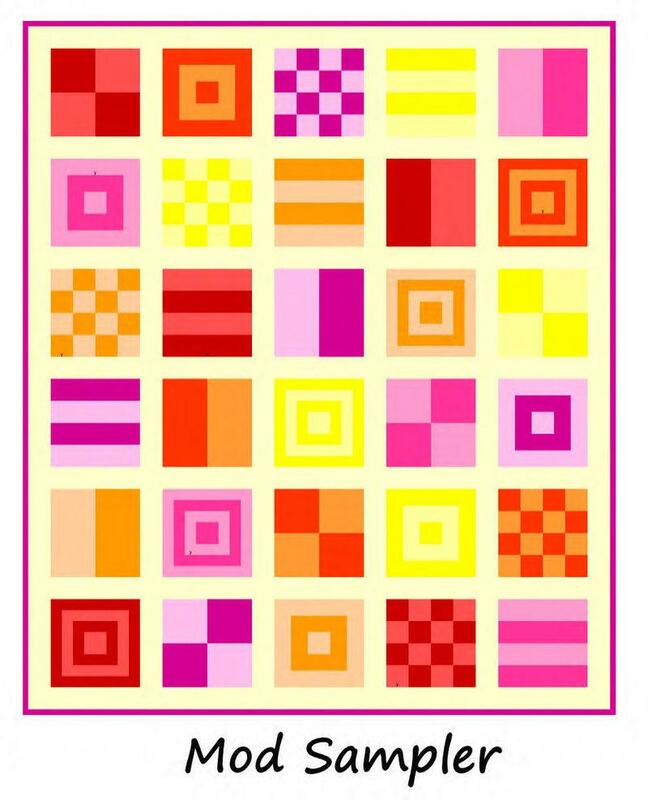 i have made crude models of my quilt with MSpaint, just drew squares and colored it in with the brush, but this “find an image on the web” idea is pure lightbulb moment for me. sadly, the fabrics i buy dont come with websites, i usually buy them from textile shops in india 🙂 but i’m sure i can match atleast the colors! Try taking a picture of your fabric with a digital camera, I have a feeling this might work just as well as finding one online! So glad you found it useful! Regards! hi, you can also scan the fabric. you can cut a piece and tape it to cardboard then scan. Sarah: I think this is really a great tutorial. To make different shapes you can use any basic graphic program like printmaster, printartist etc. Open a blank page and insert your fabric picture. Keep your picture chosen and then choose crop object from the left side. There are several shapes to choose from. Put the shape over the part of the fabric you want to crop “cut” the shape of and say okey. Hope this helps. I am interested in making quilt and embroidery patterns into greeting cards. Thanks for your comments, Karen! Do you know if you would then be able to continue editing in Paint, or would you have to do the entire edit in Printmaster? I was hoping to go for something that the wide public could use (I’ve never heard of Printmaster or Printartist, are they free programs?). I do the same thing when I’m getting ready to make a quilt. I just really need to SEE it. To do circles, paste your swatch to the side of your pattern. Use the circle tool to draw a circle on top of your swatch (hold the shift key to get a circle rather than an oval). Then, erase what’s around your circle. 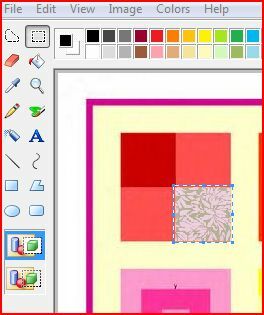 You can then select that area using the regular select tool and move it to your pattern just like a square. Just remember to go to “Image” and remove the check mark beside “Draw Opaque”. You could do the same type thing for a triangle, but there’s not a real tidy way to do the triangle. You can also select whatever shape you want (curves even) using the other select tool. I just wanted to let you know about http://www.Paint.net it is a FREE digital editing program…very similar to Photoshop. I love it – and the price (FREE) is wonderful! 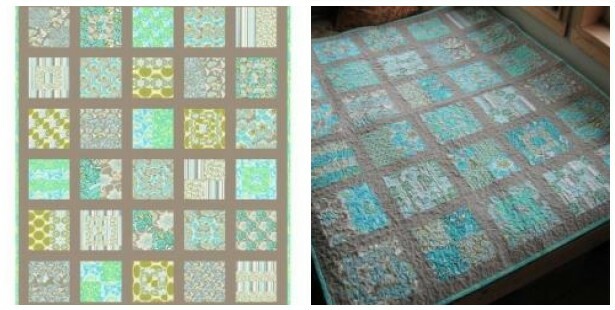 Serching for my aunt a warm quilt and came across your site. Tough to find updated posts or bloggers that actually blog…lol. Booked mark and will be back. Thanks so much for visiting my blog! I’m so happy to hear you’ll be back! Es una idea estupenda…yo también uso Paint, es tan fácil!!!! !